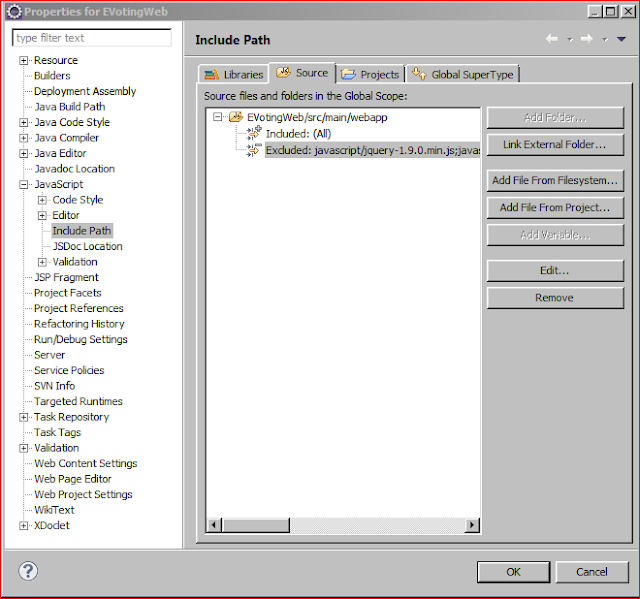 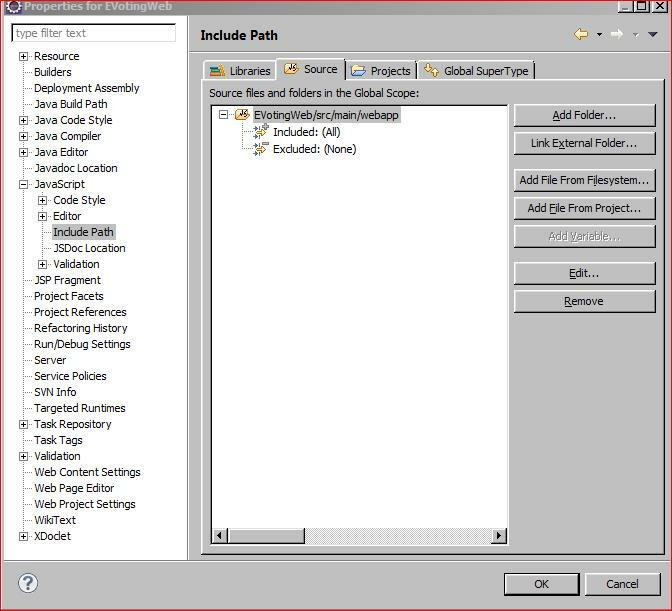 Select Excluded under Source tab by clicking on it. 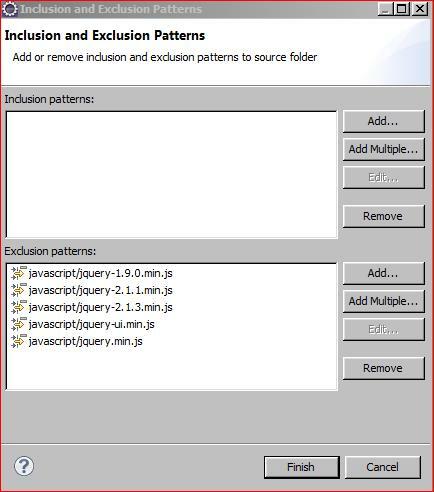 Click on “Add Multiple…” button in Exclusion pattern section and select java script files which are giving errors and for which you don’t want validation to happen, from Your project’s folder. 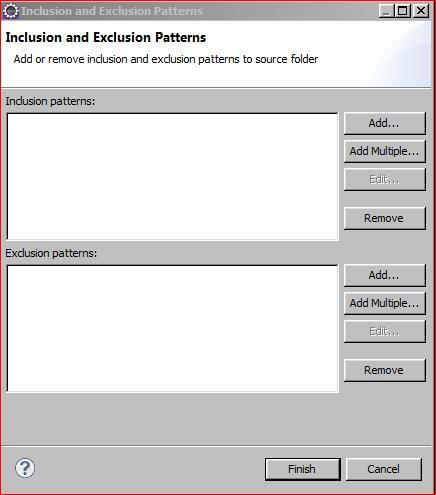 You will see all the selected scripts in exclusion patterns as below .Click on Finish. 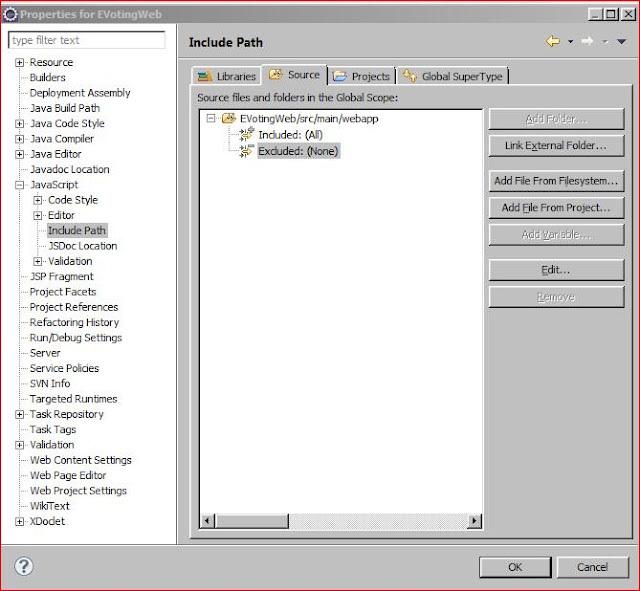 Click Ok on below popup. Clean build the project again and your validation errors will be gone.